The New Chemical Entity Drug Product Development Analytical Group is responsible for developing and validating analytical methodologies for both active pharmaceutical ingredient (API) and drug product to enable clinical trials, toxicology studies and drug product development for Abbvie’s pre-clinical and clinical candidates. The Analytical Group is also responsible for Chemistry Manufacturing Controls (CMC) support from first in human trials through NDA/MAA application. Its laboratories operate under both Good Laboratory Practices (GLP) and Good Manufacturing Practices (GMP) to enable release of materials for pre-clinical and clinical studies respectively. 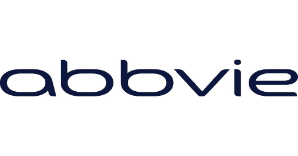 AbbVie is seeking a Senior Scientist I/II, Analytical Chemistry to conduct analytical research and development in support of pre-phase I development to market authorization. Support new product development with development and validation of analytical methods, technical method transfers, and generation of technical data and reports in support of clinical NME regulatory requirements in a cGMP environment. Implement a wide range of analytical and physical characterization techniques to conduct research and development studies related to drug product development. Work jointly with other functional areas to advance NME’s through the pipeline. Ph.D. in Analytical Chemistry/Physical Chemistry or other relevant discipline with a minimum of 3 years of relevant experience. New PhD graduates will be considered if they have highly relevant degree and experience during study. Proficiency with analytical and physical characterization techniques including microscopy, particle size distribution and surface area analysis. Candidate must possess a solid fundamental background in physical characterization. This position requires an individual who is self-motivated, hard-working, detail-oriented and able to work in a fast-paced team environment with demonstrated problem solving skills. Builds strong relationships with peers and cross functionally with partners outside of team to enable higher performance. Level and compensation will be commensurate with experience.